WILLEMSTAD - The Court of Justice does not have to decide in the solar panels case. The parties concerned have asked for a postponement to reach an agreement between themselves. Aqualectra, Bureau Telecom and the Association for Sustainable Energy are seeking a solution to the conflict. 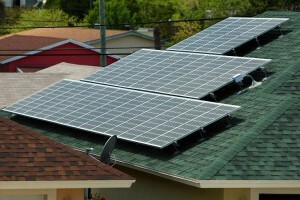 Sellers and owners of solar panels believe that the rate of what they have to pay the utility company on the extra generated energy is too high. In June, the court indicated in a sentencing that the parties had to come to an agreement on this issue. Now it seems as if they are very close to achieving this.